Cover yourself in the ulitmate softness with this purple 100% polyester, 42" x 65", micro-fleece blanket, with our running lope mascot and Grand Canyon University embroidered on the corner. Unroll, relax and be happy! Buy one of these 6" GCU foam basketballs! They are a great for kids. Lopes Up! 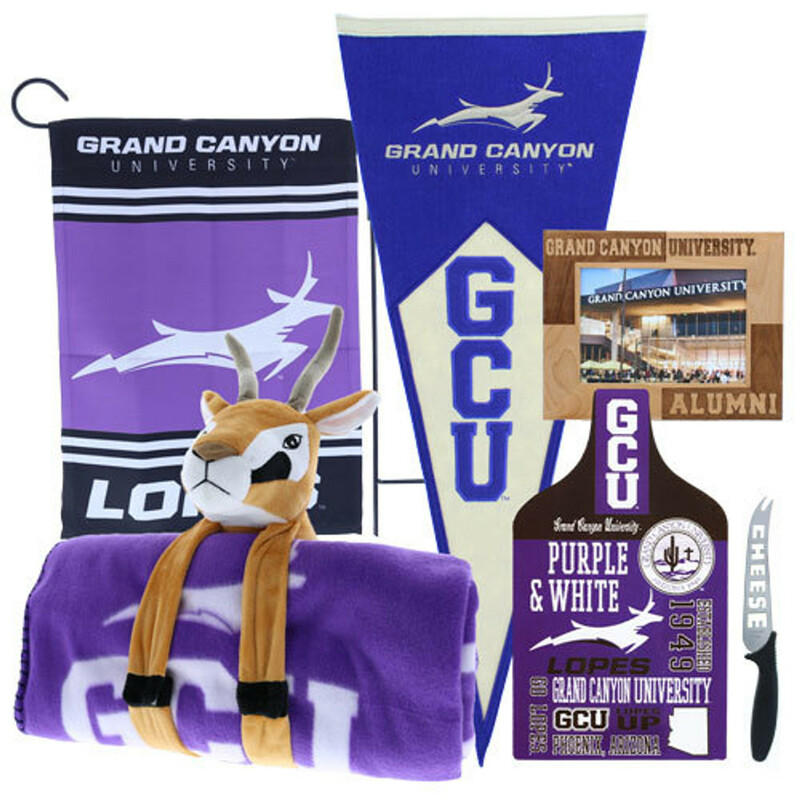 Decorate with this vertically oriented GCU pennant!! It features our running lope mascot over our arched GCU and Grand Canyon University embroidered on felt. Decorate with this horizontally oriented GCU pennant!! It features our GCU and Grand Canyon University seal embroidered on felt. SKU: LS000500 This cute stuffed antelope is dressed in a purple and white GCU cheerleader outfit with a purple bow on its ear. Decorate your dorm/room/office or share your love for GCU with the kids in your life! Overall height is approx 8 inches. Buy one of these GCU baseballs! Keep them as a souvenir or play actual ball. Fun for the whole family! This "Go Make Memories" Grand Canyon University frame is perfect for any GCU student! You can put a photo of your most fondest memeories here at GCU. Go Lopes!